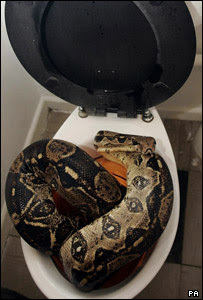 Ananka's Diary: Toilet Snakes are Real! That comment was totally unnecessary--and hilarious. i wonder how the snake felt after getting flushed. i dont want to to know what it lived off of on it's journey through the toilets. ugh.